This “then” picture is a little more recent than what I usually feature in a Then and Now article, but I wanted to do this comparison to show the true power of Mother Nature. This is the outlet of Lake Tahoe, where the waters of the lake spill over the rim and into the Truckee River. 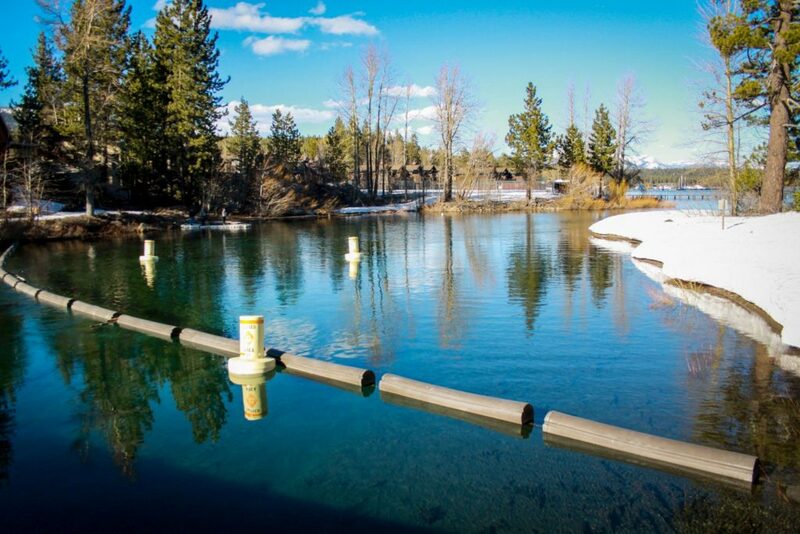 The photo is taken from the Lake Tahoe Dam, which is used to artificially raise the level of the lake a few feet so more water can be stored in the winter and released slowly throughout the dry months of the year. In 2015, when this picture was taken, California and Nevada were in the grips of a years-long drought. Several dry winters in a row had depleted the region of all its water. 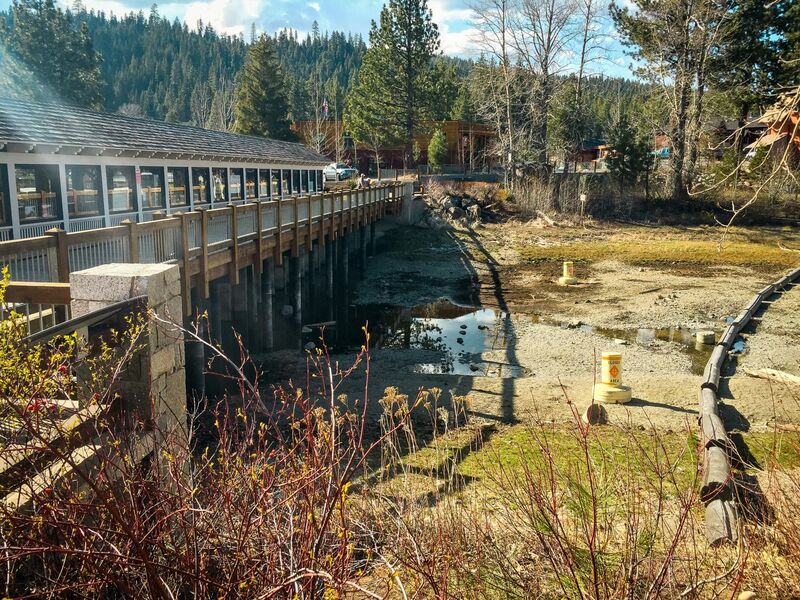 Lake Tahoe, with no rain or snow to refill it, had receded below the natural rim, and the little channel here at the outlet was left dry. This has happened several times before in history, but at the time it seemed like there would be no respite. Tahoe’s level was at the lowest in two decades. Only the drought of the early 1990s was more severe. This view from the dam was symbolic of what was happening all over the region. Little to no snowpack had led to water reserves and reservoirs being depleted all over the region. Washoe Lake completely dried up. 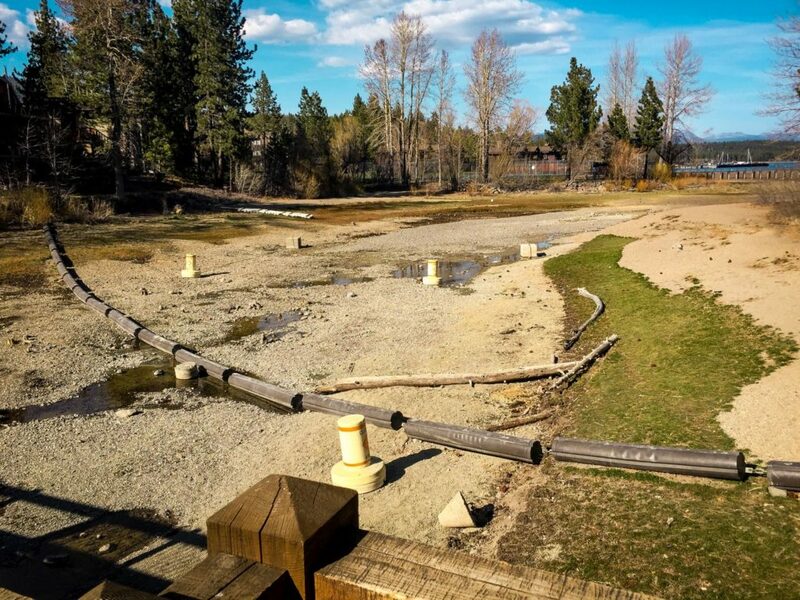 Several other reservoirs in the mountains were in worse shape than Lake Tahoe. 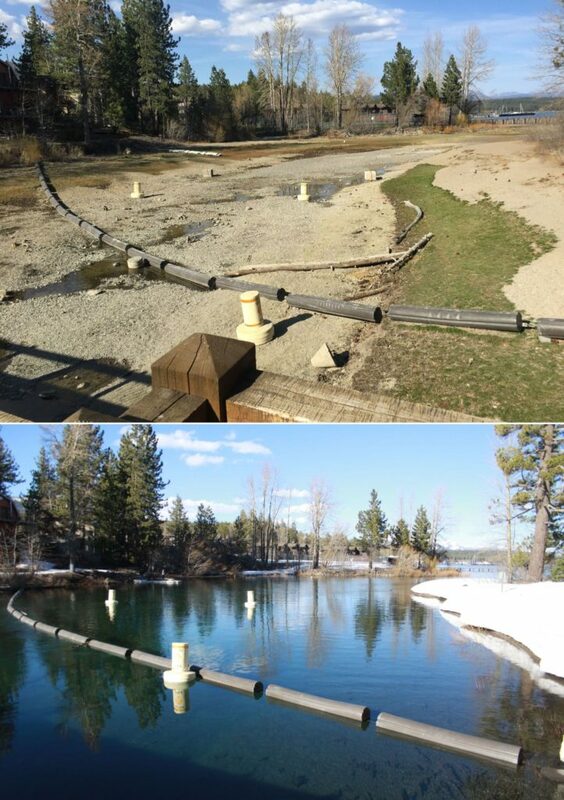 The Truckee and Carson Rivers had been reduced to a trickle. And in California the cities and fields were starving for water, but there was none to be had. The dam at Tahoe was surrounded by nothing more that stagnant pools of water, and the shoreline had receded so far that it was quite a hike from this point to reach the Lake itself. 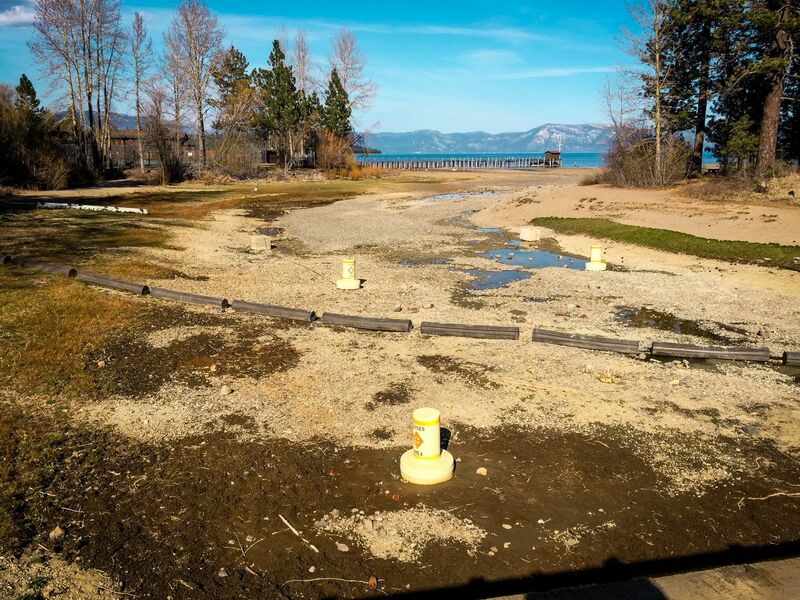 It seemed like it would take a miracle for Tahoe to recover from this. And a miracle is exactly what happened. A promising but still drier-than-usual winter in 2016 had brought some relief from the drought, but there was still far less water than what the region needed to recover. A huge wet season was needed, and a huge wet season is what we got. January of 2017 broke all previous records for the wettest month in the recorded history of the Sierra Nevada. As much snow and rain fell in one month as we usually get in the entire year. 600 inches of snow were recorded at the highest elevations during the winter of 2016-2017, and storm after storm pummeled the region. The snowpack, which had been far below average for years, leapt to double its seasonal average. Rivers and lakes all over the region filled to their rims, and in some cases over their rims, as flooding occurred across Western Nevada. And, most relevant to our discussion today, Lake Tahoe went from being far below its natural rim to lapping at the tippy top of the dam. 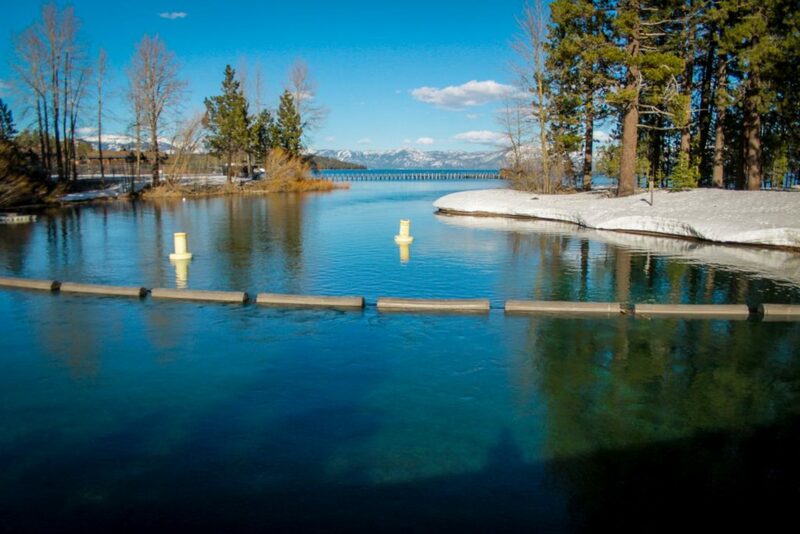 The lake level rose nearly three feet in January alone, which equates to billions and billions of gallons of water. The outlet, which just two years before was bone dry, is now full almost to its rim. 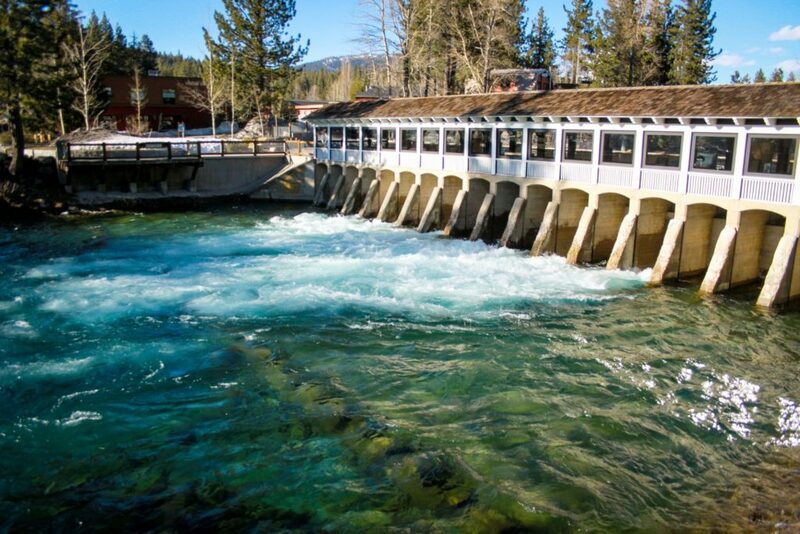 The gates are open at the dam, releasing huge amounts of water every day as the watermasters fight to keep Tahoe below its maximum level. 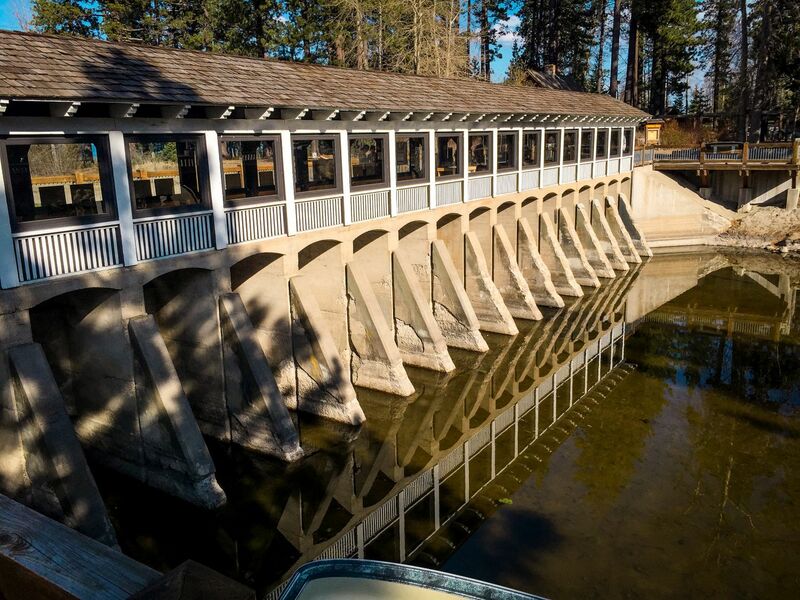 A full lake is good, but an overly full one is bad because then it could start to spill over the top of the dam, causing major erosion problems. This happened at Lake Oroville in California this winter, and they want to avoid it happening at Tahoe. And so even though there is more snow up in the mountains than there has been for years, Lake Tahoe is not being kept at its maximum height. They are deliberately leaving a little bit of room so that when all this snow starts melting it has somewhere to go, instead of flooding the lake and whole region. But it’s good to see the Lake full again, and water flowing out of the dam again. 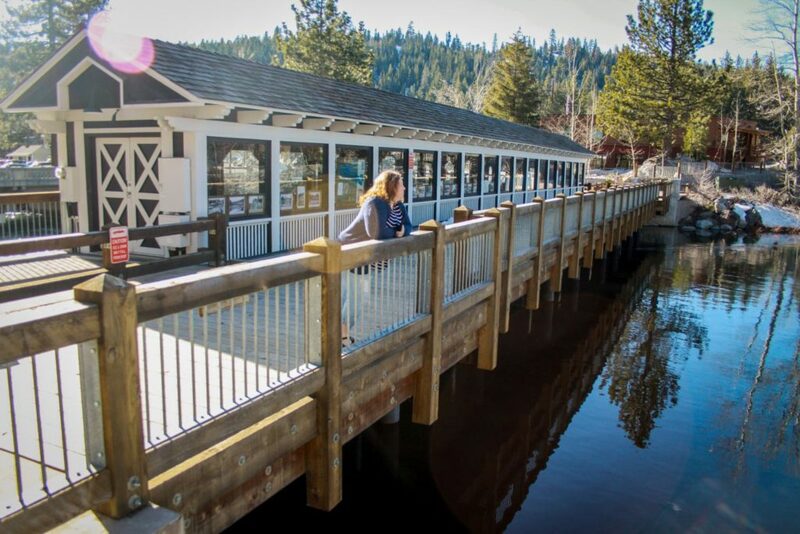 This is how Tahoe should look in the spring. The past several years were bad ones, but in one year all that was erased and we’ve gotten back on track. Let’s hope future winters can keep us here, and keep enough water flowing through the whole region.